At the risk of upsetting some members here , I Certainly am. Spoke to an engineer and got the go ahead. Probably start mid year. Just researching rack and pinion alternatives as the factory steering will not accomodate the engine. 351w114 wrote: At the risk of upsetting some members here , I Certainly am. Much excitement from this end! my next coupe will more than likely be a 250 with the twin carb engine, would love a 302/51 mated to a manual in the next one! 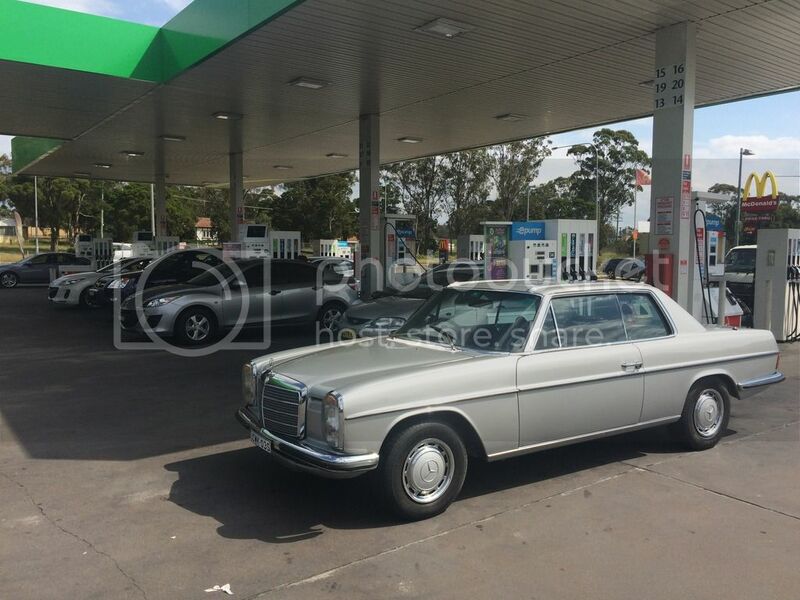 the w114s are such a good classic base to put some power behind imo! 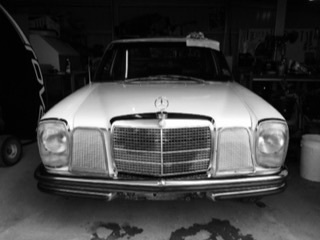 Hope this works, bill gates I am not....father/son project, 1972 merc 250, first MB, I like it! Body is good, bit of passenger side rear quarter cancer, but very minor, dash has a few cracks, seats all good, that's about all I know so far, had it for 1 day! 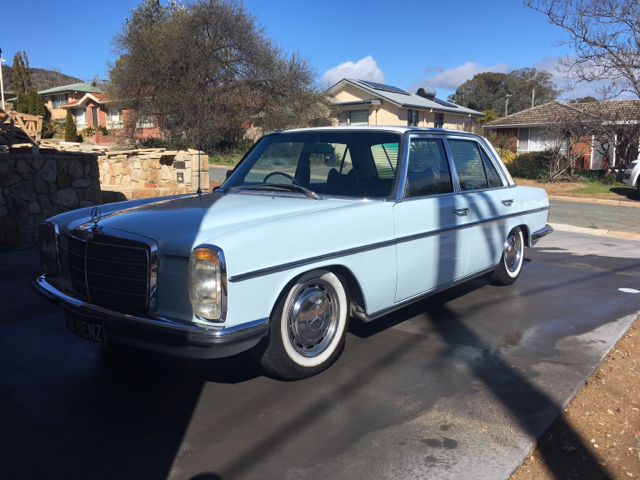 !engine has "noise" in the top, bad knocking, timing chain seems a tad loose, I'm not an engine guy so I will learn as I go, idles ok (apart from the noise) hope to learn some stuff here from you guys, who by the way have some awesome cars.!! My top tip to check though is the valve clearances. The adjusters are an interference fit - no lock nut, just tight. But over time they can get loose and work themselves wide. If you did find one very wide, what you want to do is pop the rocker out, put a socket bit over the adjusting ball and check the tension. I can't remember the spec but will soon know if this is the problem. New ones aren't cheap but if you can find another motor/head to raid you can just try some and easy to check. This is all speaking from experience. 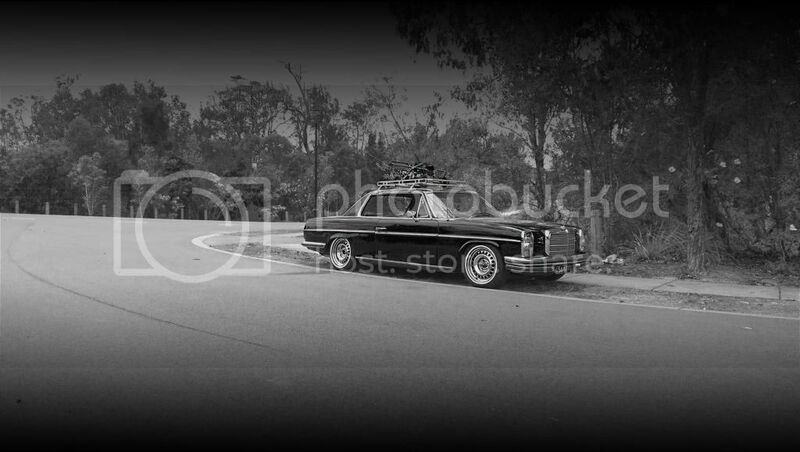 My 280sl I was driving on the open road and as slowing down for a town heard this terrible noise and pulled up. I was convinced from the noise that the cam chain tensioner was gone. Towed it home, rocker cover off and couldn't see the problem so i started with cover off and could see straight away what it was. I then popped off all the rockers and found 3 under spec - replaced with spares i had and never had a problem since. Hope this is all it is - easy fix but not something i was looking for. And best practise you should use a special 17mm spanner or good quality crows foot, but for years i did get away with a good quality spanner. Good luck and feel free to paste this into a new thread under w114. Thanks very much for the info there Craig, I wil try and check that on the weekend, hope it isn't anything to major, but the car was very cheap so I shouldn't complain! Will let you know how I go. Hanks again. 1990 W201 190E (my son thinks this is his car). I've had Calvin for over 2 years now and realized that, even though his story is being told in the "Project Calvin" thread, I've never put any pics here. Got out and about today and took some new pics. The project continues, but he's starting to look pretty good. Enjoy! Last edited by New123 on Fri 08 Sep, 2017 10:41 pm, edited 5 times in total. 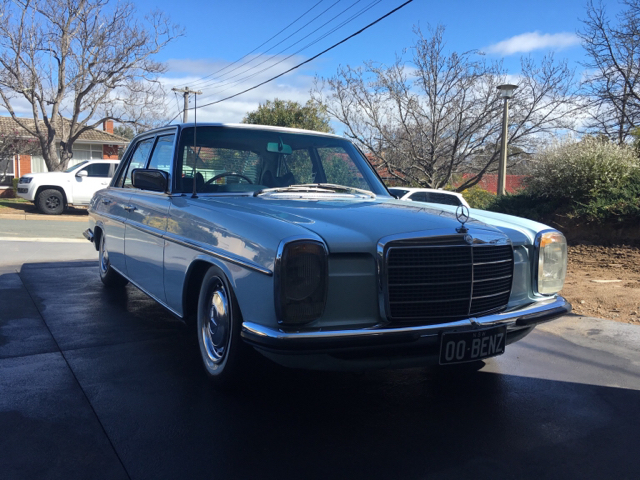 Looking great Toby, looked like a great day for a drive and to take some photos. Great colour combo, and looks good with a white wheel. I like the bullet hole in the left rear panel. 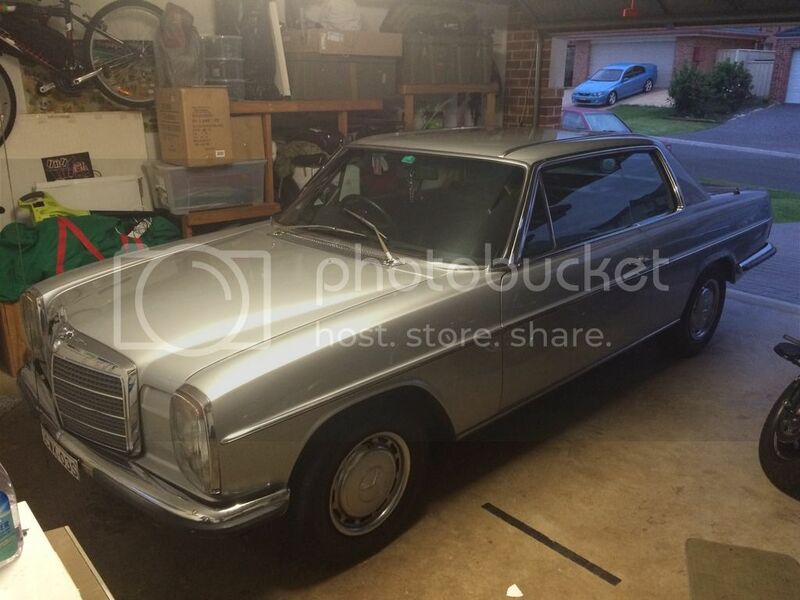 Robbing banks is risky, but you have to support your Mercedes habit somehow I suppose. Giles - The brakes are ok, but not great. I figured they just needed a bit of exercise to really get seated in, but I wasn't totally satisfied with the bleed session. I think we've recently discovered the problem though, eh? Cuisses - Hey, that does look like a bullet hole , but alas, it's just a rusty spot. Looks like someone sanded it down to the metal and never finished the job. Just one of many "spots" that I will be taking care of soon. I do like the colour combo also! OK, rear brake calipers now on the correct sides, and bled again. MUCH better! Nice firm pedal and good stopping power. Gee, the little things really DO matter! Looks great Toby, I like the colour combination! 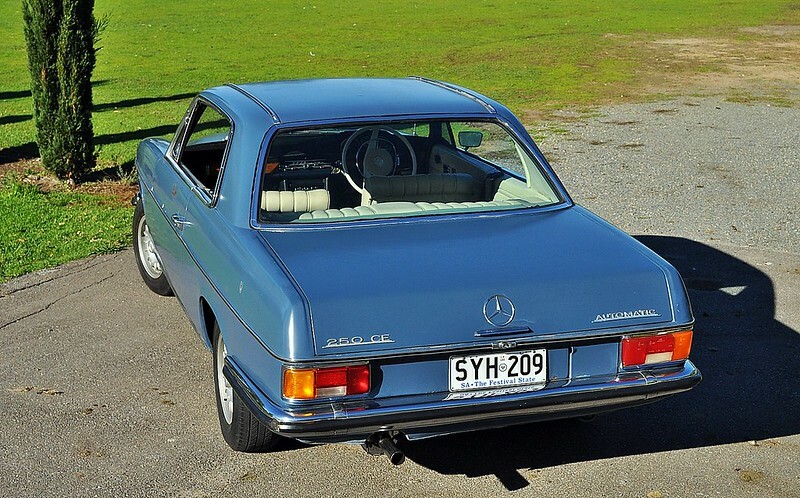 One question, just out of curiosity: was the single exhaust standard with the 250CE? I thought they had the double exhaust as well? T-Modell wrote: Looks great Toby, I like the colour combination! 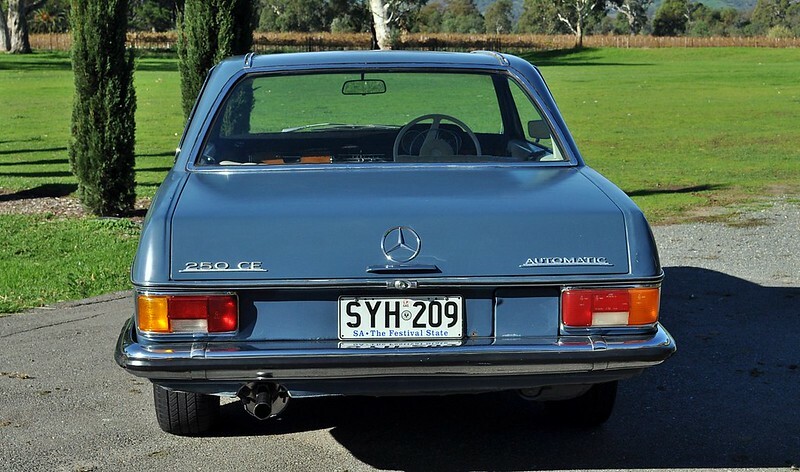 One question, just out of curiosity: was the single exhaust standard with the 250CE? I thought they had the double exhaust as well? I've wondered about that myself. I've seen them with both types and I'm not sure which is correct. Was the dual exhaust an option, maybe? 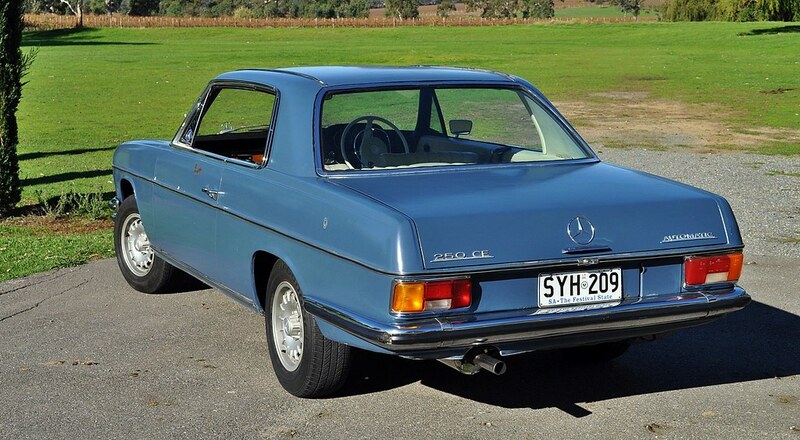 I'm not 100% on this but I think that the twin system was only for LHD cars. 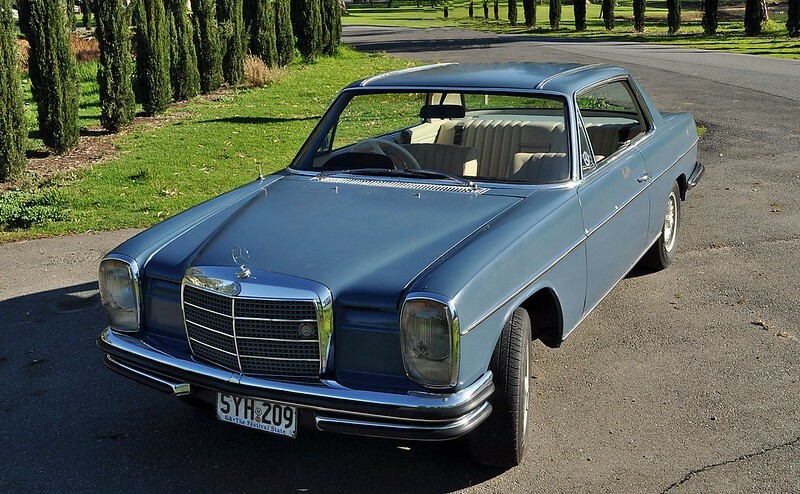 If anyone has any photos of a RHD twin system I'd like to see them. 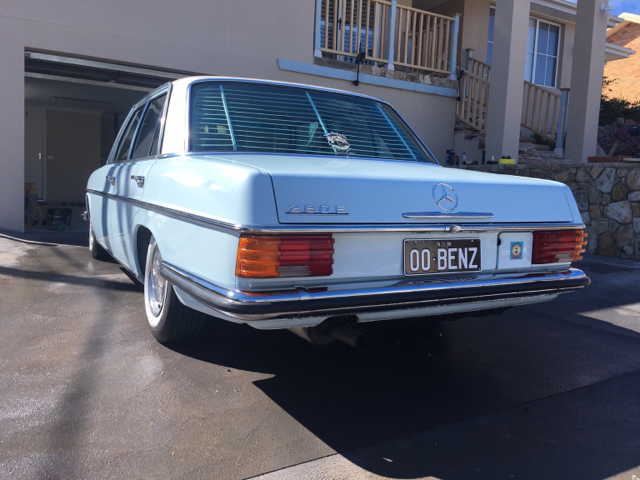 These are mine and my dad's benzes! The 108's are the old boys and mine is the 114. 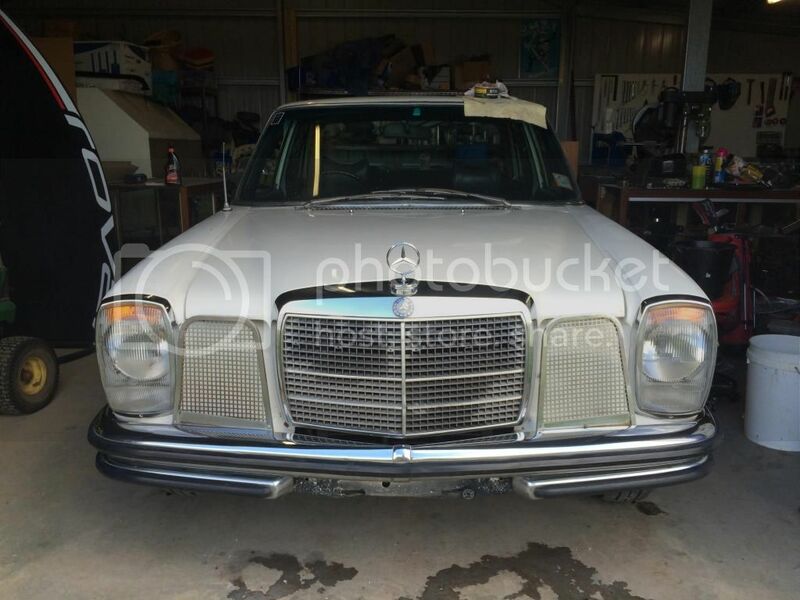 He has numerous 108's lying about....and other benzes........ - over 30 on the last count! 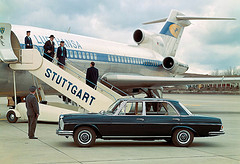 The 114 is a '73 280E, the 108's are a 280SE 3.5 (it has a 4.5 in it) and a 280S - all original & pretty much a concourse car. 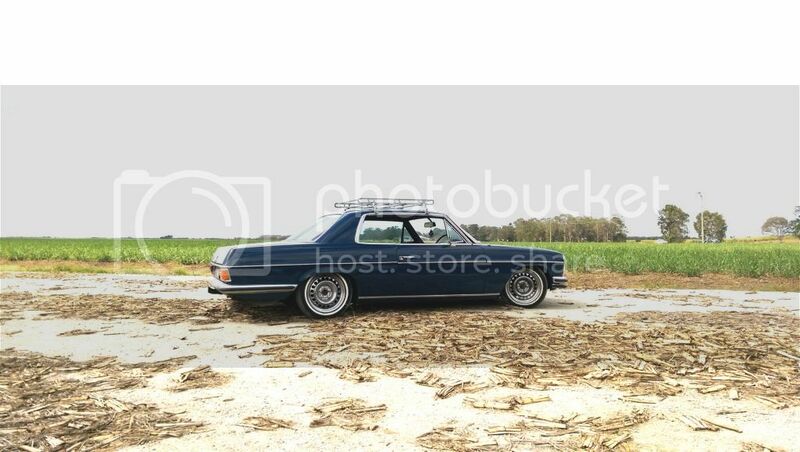 We bought the 114 for my first car nearly 15 years ago and I thrashed it about for a few years and then it sat around for a while until I decided to fix it back up for my wedding. Most of the credit goes to my old man who is pretty good with the spray gun and good at sourcing parts when we need them. Thanks guys for posting pics of your beautiful compacts! That is a lovely looking compact. ^ +1 - the whitewalls and venetian are really nice touches! 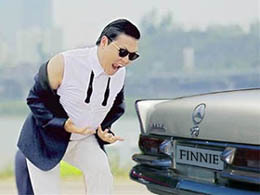 I wish someone made rear Venetians for Finnies!!! 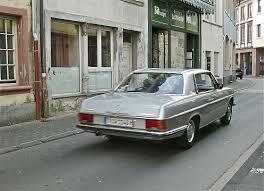 People with taste know that W114s are the best looking Mercs. It is quite refreshing to hear someone who wants to correct the past suspension modifications. 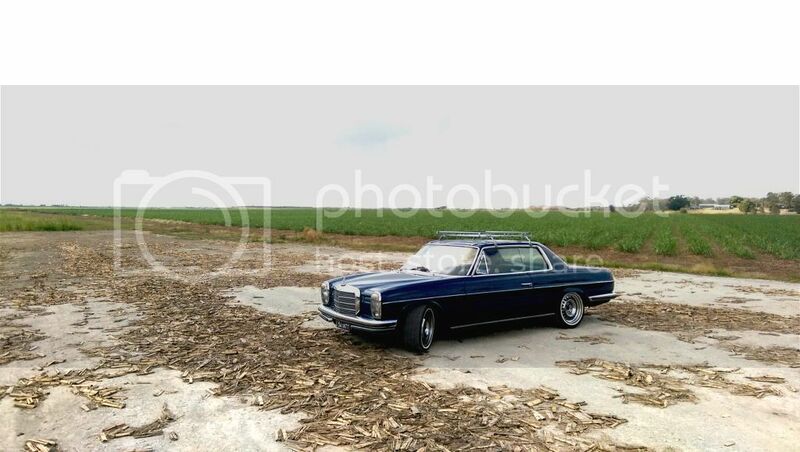 All too often, the first post from a new owner of a classic MB is "What's the best way to lower it? Should I cut the springs or install air bags?" New123 wrote: Welcome! Nice looking 114! Thank you. I definitely want it to sit a little lower then stock standard however as it is its way too low. I want to enjoy the smoothness they deliver on the road! Thanks. 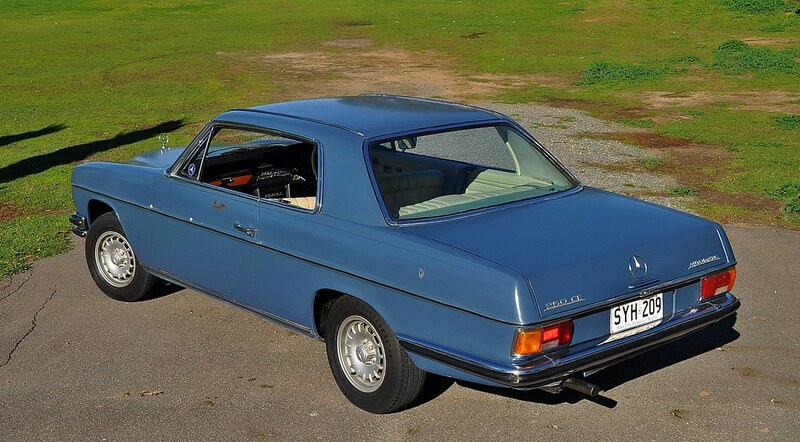 Yes it's Horizon Blue, just with the roof sprayed to give it a two tone look. The two tone is growing on me and definitely sets it apart. Here is an initial shot of my new project. 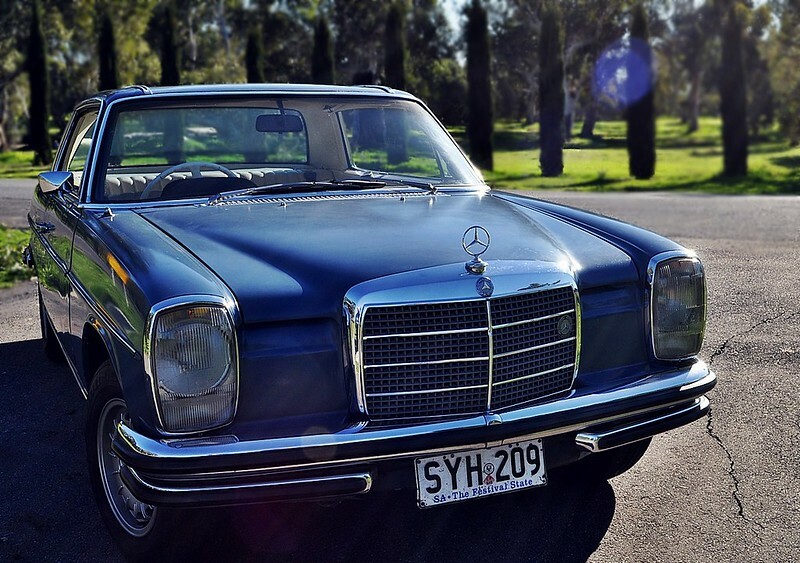 1976 280 automatic. US model. The color is a bit unfortunate, but it makes up for it with absolutly no rust and a very nice bamboo interior. The car is wearing CLK wheels now, but no pics of that just yet. That car looks great. There is nothing wrong with the colour - it is a period colour and that was the fashion back then - a lot of brown and orange and dull green. Nobody complains that the Mona Lisa isn't wearing a baseball cap and a lot of bling. On the other hand, those US bumpers take a lot of getting used to. 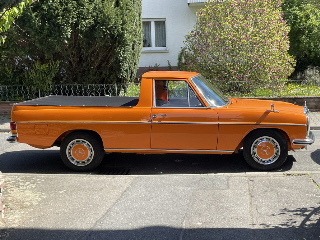 They make it look like it had a Volvo for a father. My first visit to Ozbenz - what a great source of info! 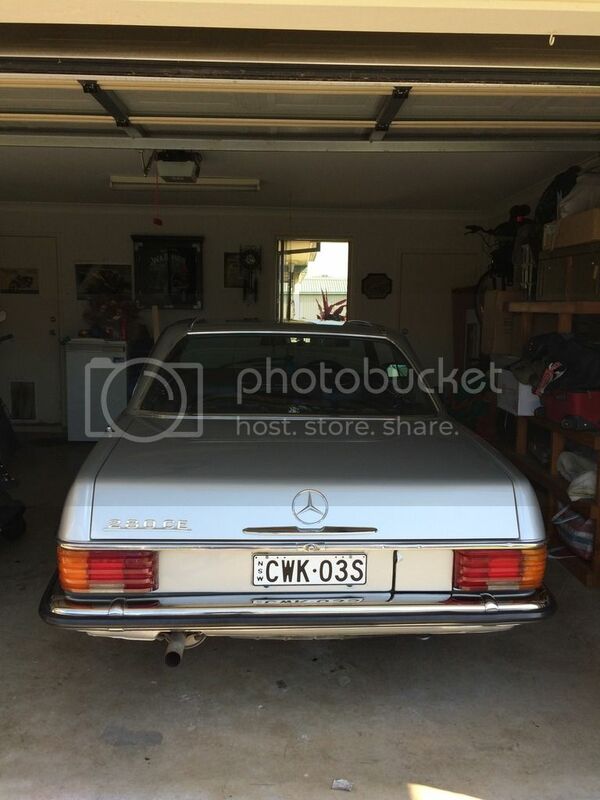 Posting my 1970 250CE. 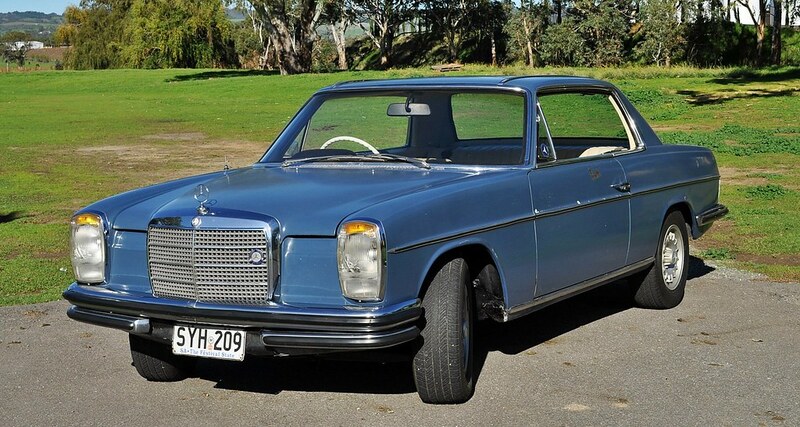 In good running order with the original Webasto sunroof and power windows. Missing some parts but thats all part of the fun! There are some inspirational 114s here.